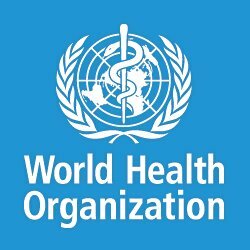 The World Health Organistaion (WHO) has warned of an outbreak of a deadly plague at Uganda’s border with the Democratic Republic of Congo (DRC). According to a WHO statement seen by APA on Tuesday, the plague was confirmed after Uganda’s Health Ministry reported two probable cases of the pneumonic plague in the country’s Zombo district on March 5th after a 35-year-old woman died and her 23-year-old cousin reported similar symptoms. According to investigations the dead woman had lived in Atungulei village in Congo’s Ituri province, and her 4-year-old child had died days before. The statement further notes that the woman had been transported to Uganda by her relatives who found her sick at her child’s burial. The cousin who presented similar symptoms has also tested positive for the suspicious plague. About 55 people including 11 health workers who took part in the dead woman's funeral had been identified as high-risk contacts and were being monitored. WHO has hailed Uganda’s vigilance noting that its health workers were prompt in spotting a suspected outbreak of pneumonic plague, which the organization says is usually fatal unless detected early and treated with antibiotics.